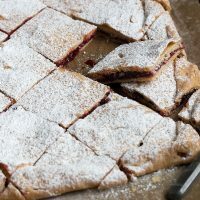 Delicious buttery pastry squares, filled with raspberry jam and topped with icing sugar. Use any jam you like, just make sure it's fairly thick. Due to translation issues, I reasoned that I needed 600 ml of flour, which is an unusual way to measure flour. But I went with it and measured it out in my liquid measuring cup to the 600 ml mark. You may need additional flour to bring your dough together. 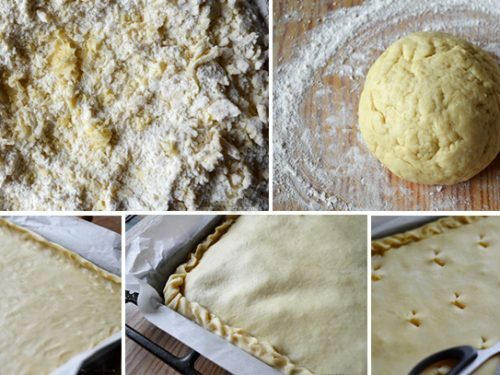 Likewise, when you are mixing the yeast mixture in with the dough, you may find you don't need all the flour in the bowl to bring the dough together.